Absence of consultation on the plan. 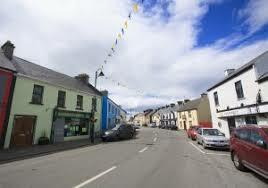 There is surprise that a West Sligo village is handing back €20,000 funding it received for local enhancement works. Clar sanctioned the allocation on foot of an application the organisation received jointly from the county council and Easkey Community Council. Works were to include the laying of a pedestrian crossing in the vicinity of the post office and broadening the footpaths, all scheduled to commence this week. However, it looks that arising out of issues concerning consultation as well as objections submitted to the council it was decided to return the funding.